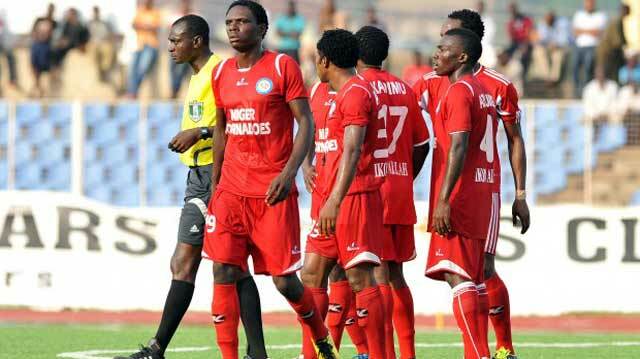 The newly-inaugurated management committee of the Nigeria Professional Football League (NPFL) side, Niger Tornadoes FC of Minna, on Thursday disbanded the technical crew of the team. A club management source who spoke with the News Agency of Nigeria (NAN) on condition of anonymity, however, said that any of the sacked members of the technical crew could reapply for their previous positions. “The management committee which was inaugurated on Thursday to pilot the affairs of the club commenced its official functions by inspecting the ongoing renovation work at the Late Bako Kontagora Stadium, Minna. “Later in the day, the committee announced the sack of the technical crew of the club after an evening training session. “The coaches in both the senior and feeder teams were, however, told that they could reapply for their jobs, if they so wished,’’ the source said. The Technical Adviser of the team, Abubakar Bala, confirmed to NAN that he had been sacked. “Alhamdulilah, Alhamdulilah, Alhamdulilah. I have just been sacked from my position of Technical Adviser to Niger Tornadoes. I’m indeed grateful to God for the opportunity, blessings and successes,’’ Bala said. NAN reports that Bala led the team to the final of the 2017 Aiteo Federation Cup, where they lost on penalties to Akwa United. The coach took charge the club in 2016, following the termination of the appointment of Abdullahi Biffo. Tornadoes are scheduled to host Kwara United in the NPFL 2017/2018 season at the Bako Kontagora Stadium on Jan. 14.